The financial media should come with a warning label these days. Similar to the one you’d find on a pack of cigarettes. For the past few weeks, the media’s been priming us for a Fed rate hike at its June meeting. Even the Fed chair herself, Janet Yellen, did little to slow the June rate hike momentum in a speech right before Memorial Day weekend. Make no mistake, a Fed rate hike looked to be coming our way in June. And the investment landscape was going to change dramatically. 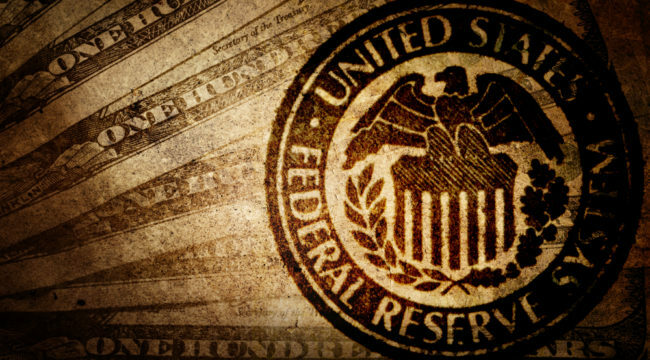 Tension was building because the last rate hike in December 2015 was followed by a bout of global market turmoil. The U.S. Department of Labor reported a deeply disappointing jobs number. Nonfarm payrolls rose by a seasonally adjusted 38,000 in May. That’s the weakest jobs figure since September 2010. That number was more than 100,000 lower than analysts’ estimates. You know that June rate hike they were telling you was near certain on Thursday? Yeah, not so much on Friday. And they ran with a quote from Federal Reserve Governor Lael Brainard, who said there was an “advantage to waiting until developments provide greater confidence” before raising rates. Wall Street responded with a panic attack. Traders flooded back to the safety of short-term Treasuries. And the dollar weakened against its peers. The whole investment landscape changed again… just like that. You know what I was doing while Wall Street was freaking out about the jobs report and what it means for the Fed? Why was I unfazed by the same developments that were roiling the financial world? Because I refuse to play that game. I know that a few days from now some new statistic or quote is going to be released that will cause the chattering class to hyperventilate all over again. The media will churn out more breathless headlines about what it all might mean. They’ll be more gnashing of teeth on Wall Street about what it might cause the Fed to do. And market watchers who choose to play this inane game will be stressing out all over again. Trend followers hit the mute button when the noise starts. You can’t afford to waste your time and money investing on hypotheticals. Trade only on what you can see and verify… and that’s price movements. That’s just what we did with our gold recommendations in our Trend Following monthly letter. Scores of investors got out of gold and gold stocks because they were certain the Fed would hike rates. So when the unemployment report shocked everyone… gold and gold stocks jumped way higher… and we made more money. Not because we predicted the unemployment report… or how the market would react. But simply because we were following the trend. So let go and find your own piece of investing Zen by becoming a trend follower. I promise it will do wonders not only for your portfolio, but also for your overall health.